Hyundai has created an all-new luxury level sedan brand for 2017! 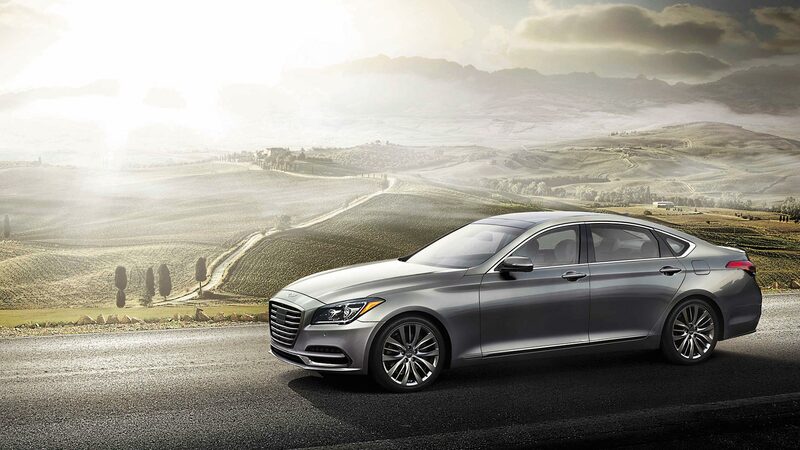 What used to be the Hyundai Genesis is now the all-new 2017 Genesis G80! 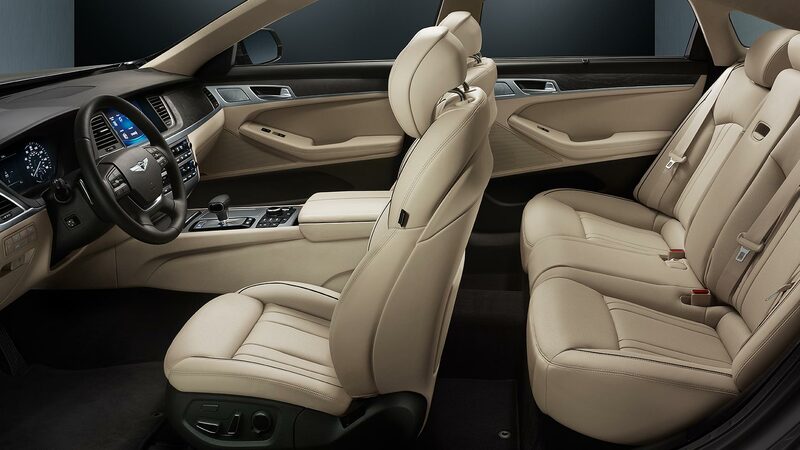 The G80 sedan offers drivers and passengers a new level of luxury with plenty of comfort, safety, and technology features! Plus there is plenty of power available with two great engine choices! Check out the rest of our 2017 Genesis G80 review to learn more! What trim levels are offered for 2017? 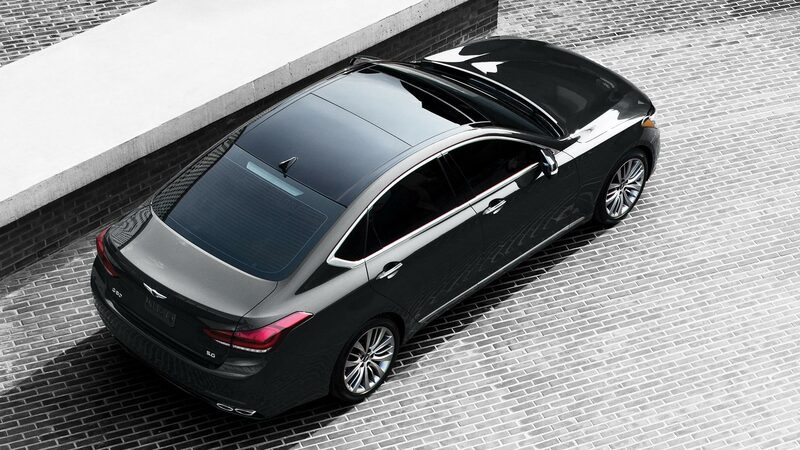 Genesis offers the G80 in two trim levels for the 2017 model year. The base G80 3.8 model comes loaded with standard features including keyless entry and ignition, automatic dual zone climate control, automatic high beam control, xenon headlights, LED daytime running lights, auto-dimming mirrors, automatic wipers, heated mirrors, adaptive cruise control, 18-inch alloy wheels, and a rearview camera. 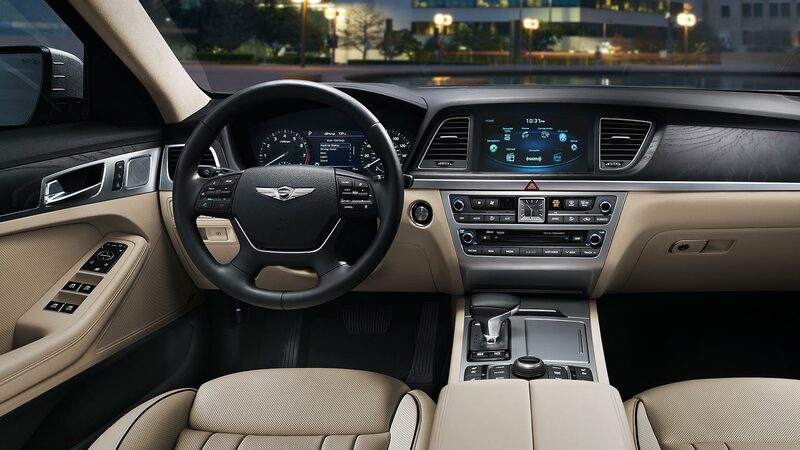 Move inside the 3.8 model and you'll find tons of comfort and technology features like an 8" touchscreen interface, Bluetooth connectivity, Android Auto and Apple CarPlay smartphone integration, HD and satellite radio, an auxiliary audio jack, a CD player, USB port, a seven-speaker audio system, the Genesis Connected Services telematics system, navigation, driver memory settings, leather upholstery and heated eight-way power front seats! If you opt for the AWD model you gain heated rear seats, a heated steering wheel, and even headlight washers! 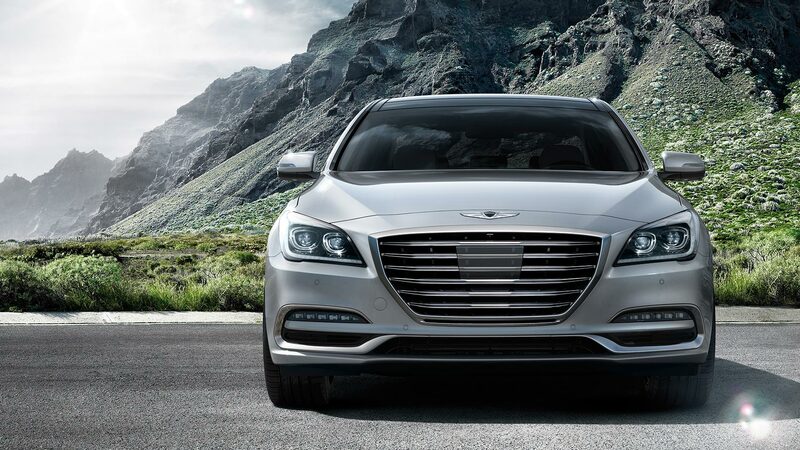 Genesis offers two packages for the 3.8 model the Premium and Ultimate. With the Premium package you gain feature like an upgraded 7" driver information screen, a Lexicon 14-speaker audio system, a panoramic sunroof, and so much more! The Ultimate package adds all features from the Premium package and a 9.2-inch touchscreen, a heads-up display, matte-wood and aluminum trim, premium leather upholstery, a power trunk, a Lexicon 17-speaker sound system, and a carbon dioxide sensor for the climate control system! 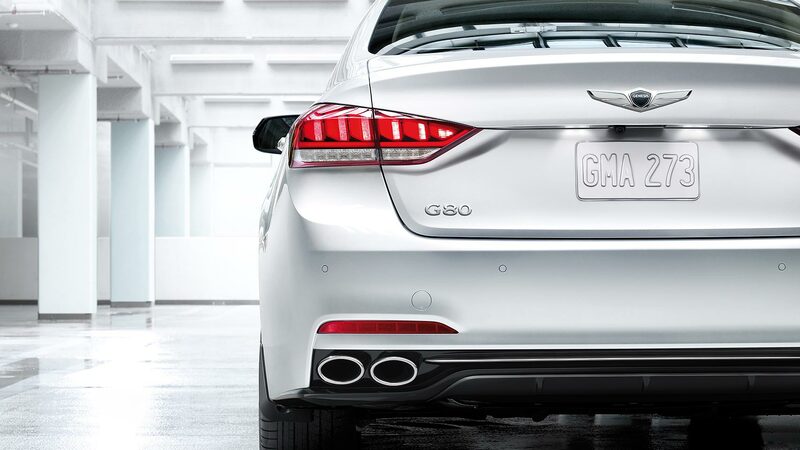 The G80 5.0 model comes equipped with the entirety of the Ultimate package, illuminated door sill plates, quad exhaust tips and 19-inch wheels. For all your gear and luggage needs both G80 models have a trunk with 15.3 cubic feet of cargo room! Genesis offers two engines for the 2017 model year. The base G80 model is powered by a 3.8-liter V6 engine that delivers 311 horsepower and 293 pound-feet of torque. The EPA estimates that this engine can get 28 mpg on the highway with standard RWD and 25 mpg with available AWD. The 5.0 G80 model gets a 5.0-liter V8 engine that generates 420 horsepower and 383 pound-feet of torque! This model can get 23 mpg on the highway with RWD (AWD is not available). Both engines use direct-injection technology that focuses on lowering harshness, vibration, and noise as well as low-end torque and drivability. An eight-speed automatic transmission is a match to both available engines. What type of safety and security features are standard for the 2017 G80? 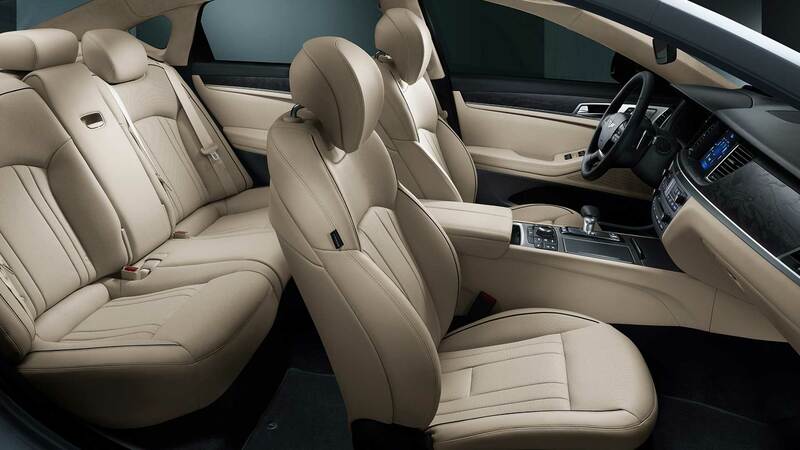 The Genesis G80 offers many standard safety features including, a driver side knee airbag, full-length side curtain airbags, front and rear side airbags, dual front airbags, active front head restraints, traction and stability control, and anti-lock brakes. 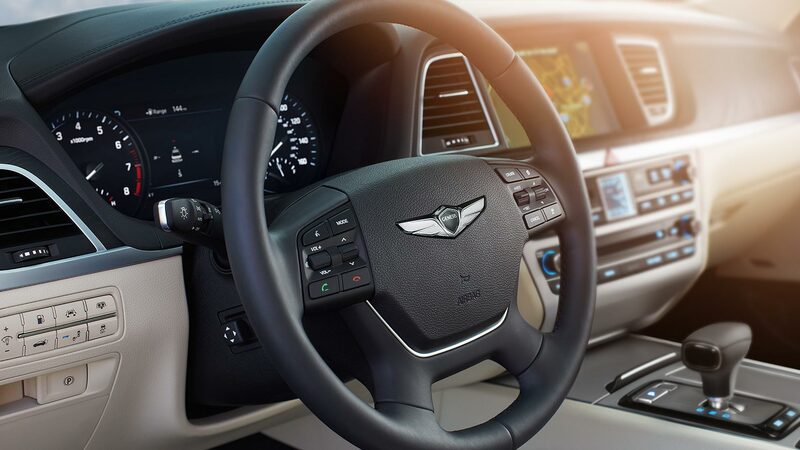 Standard security features include the Genesis Connected Services granting drivers access to navigation, stolen vehicle immobilization/slow down/recover, remote start and door unlocking, on-demand roadside assistance, a vehicle locator, and an SOS button. There are also many standard advanced safety features like an automatic emergency braking system, frontal collision warning, lane departure warning and intervention, and blind spot monitoring with rear cross traffic alert! 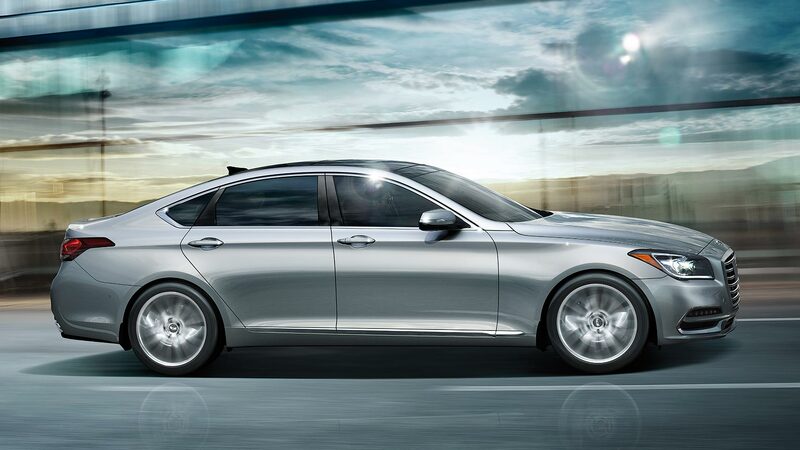 The 2017 Genesis G80 is a luxurious sedan that offers the best features possible! Come down to Genesis of North Atlanta to take a G80 out on the road for yourself and test out all the amazing features! If you have any questions fill out the contact form below to start a conversation!